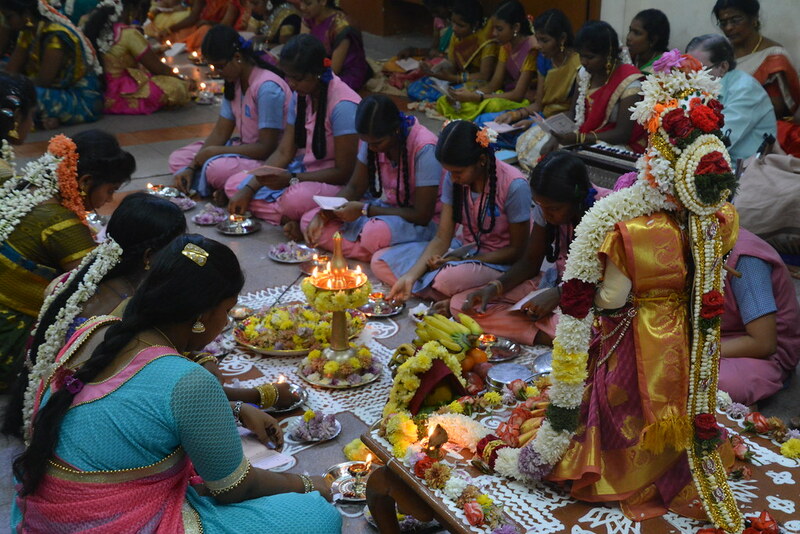 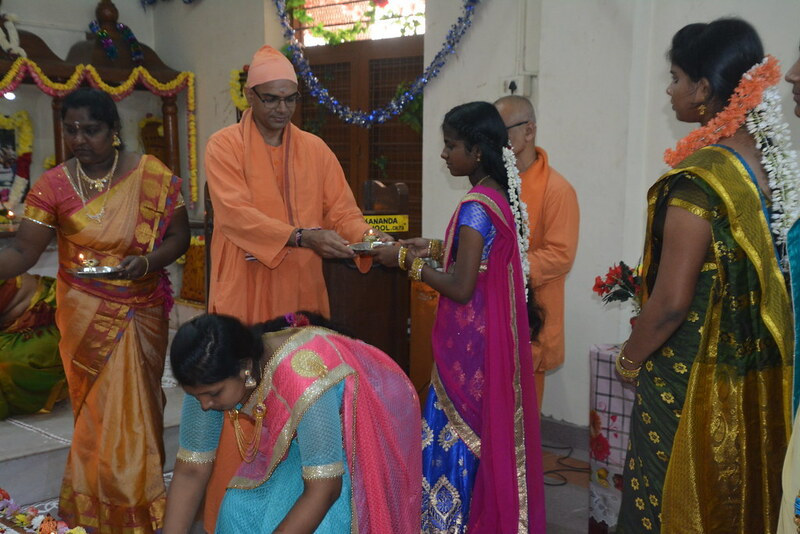 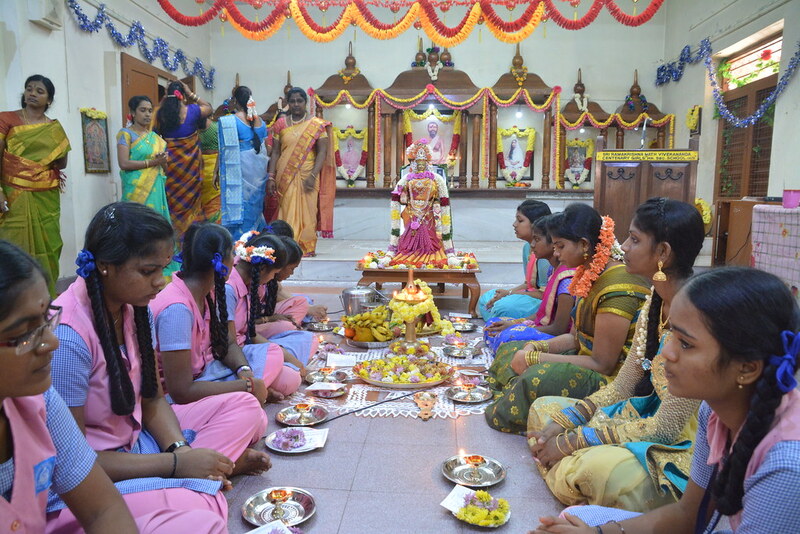 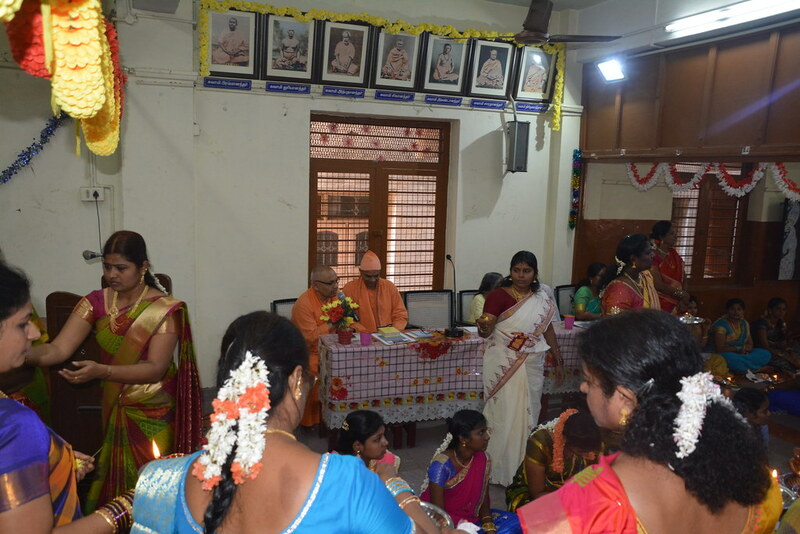 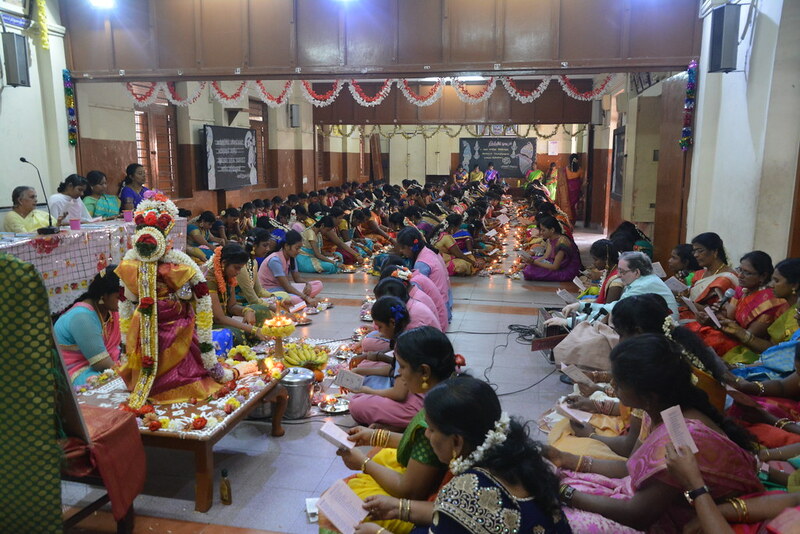 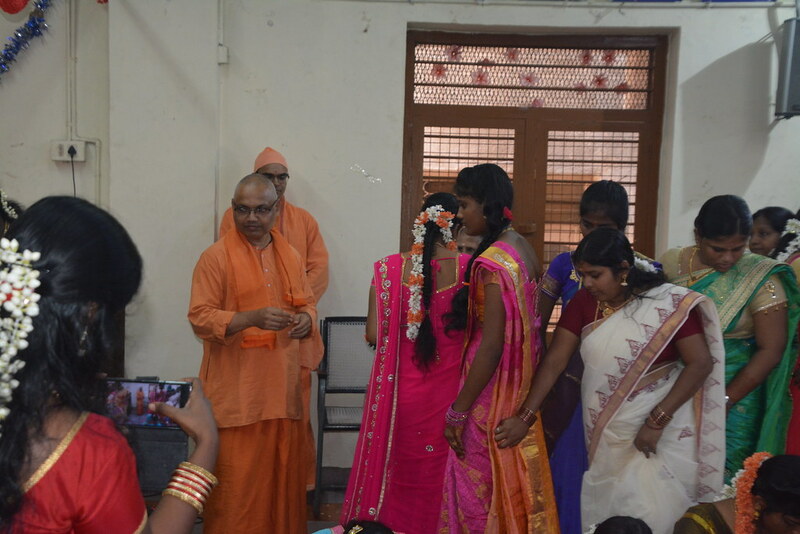 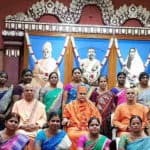 On 2-2-2018, Villakku pooja was celebrated at Vivekananda Centenary Girls Hr. 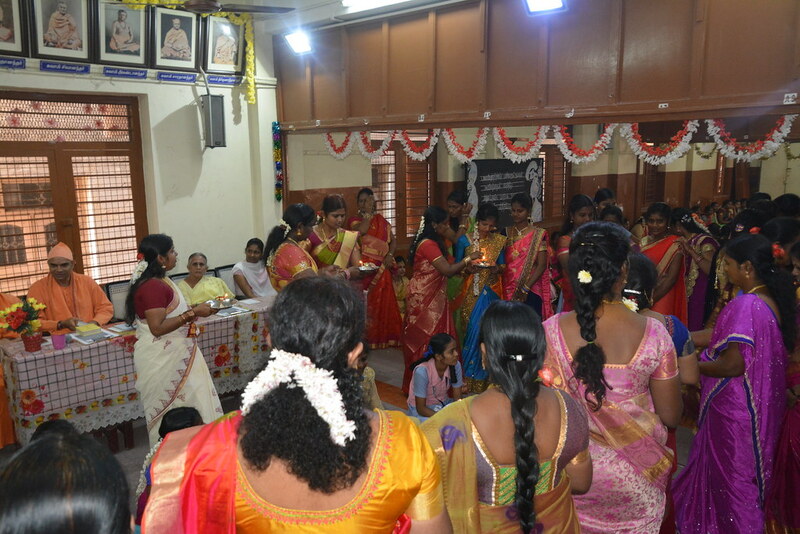 Sec. 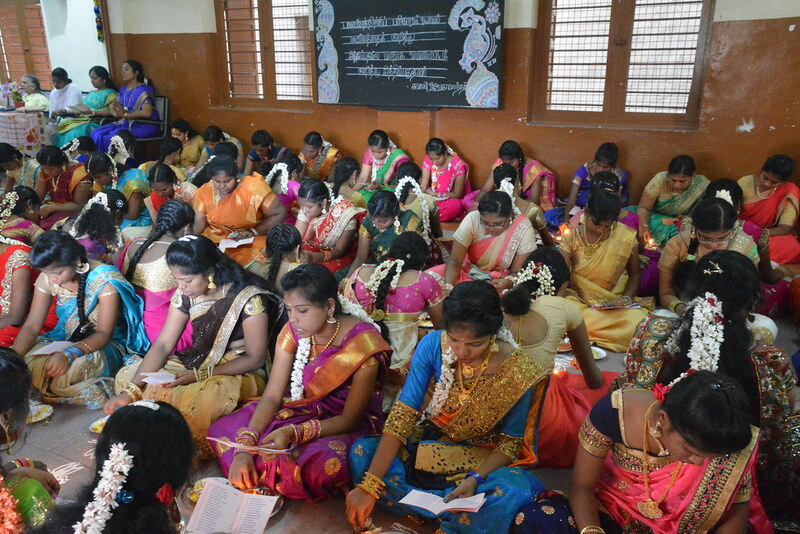 School. 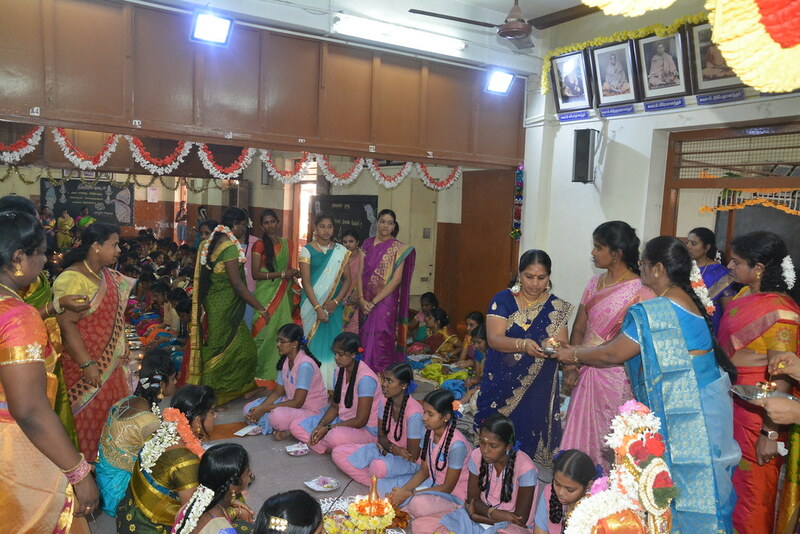 Dr. Sharmila, a volunteer from Madras Math Dispensary donated brass villakku to all the students of XII Std. 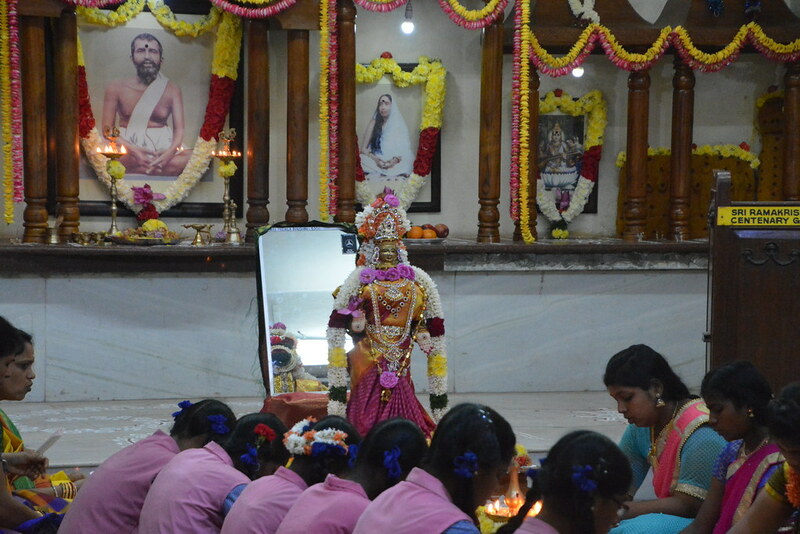 who will be appearing for Public Exams. 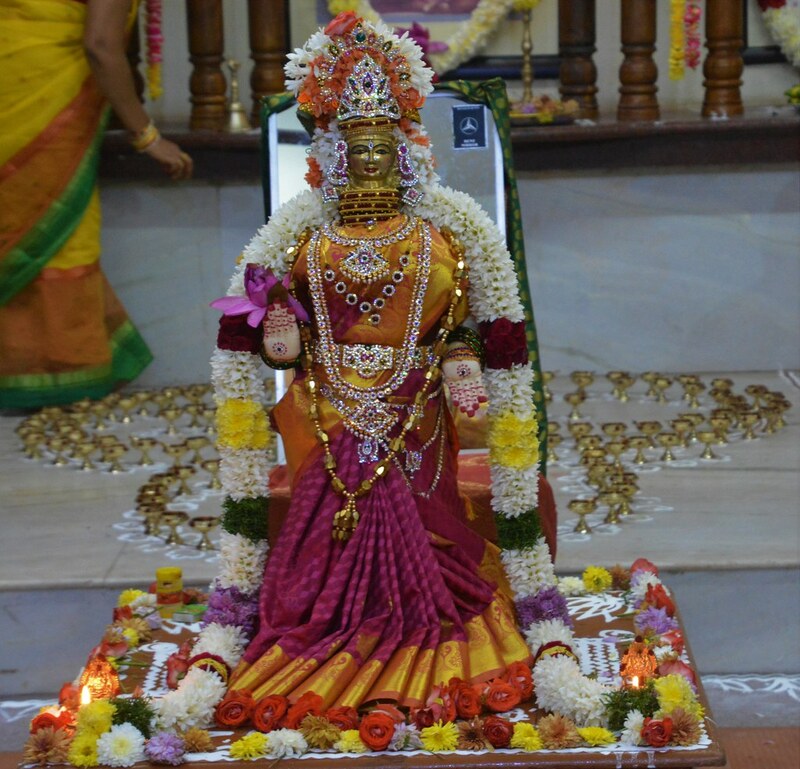 A tall brass villakku was decorated with flowers and ornaments like a Goddess. 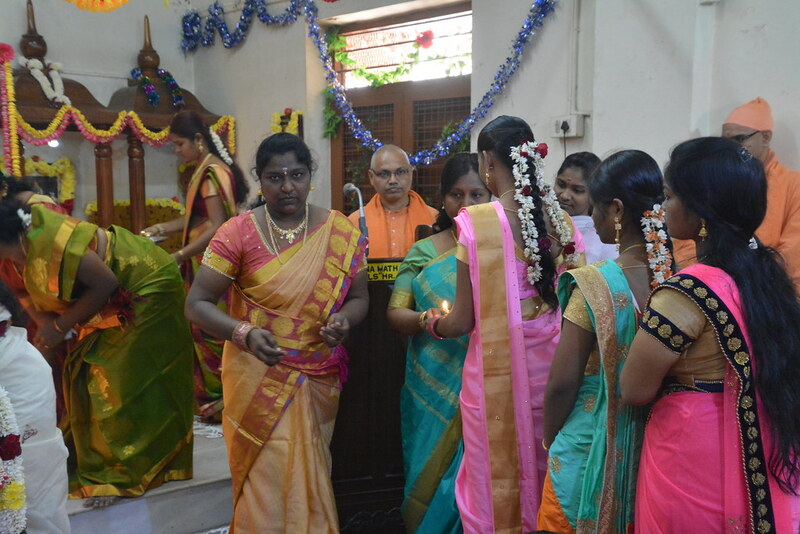 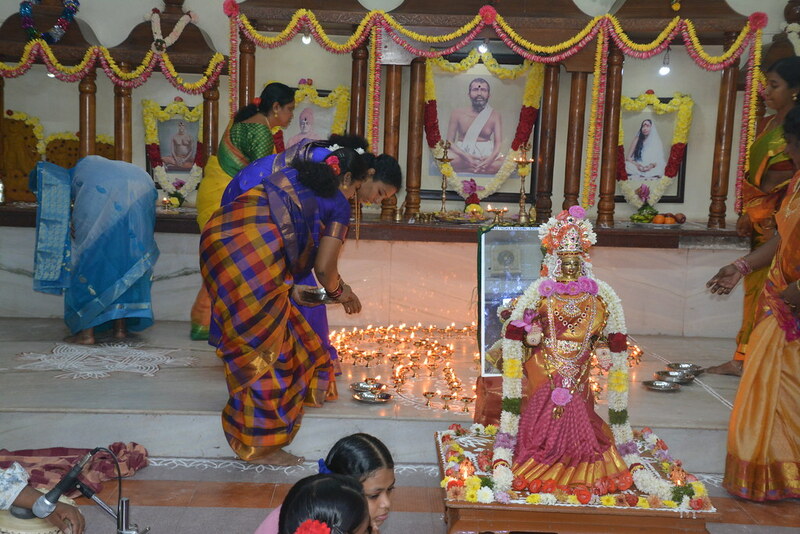 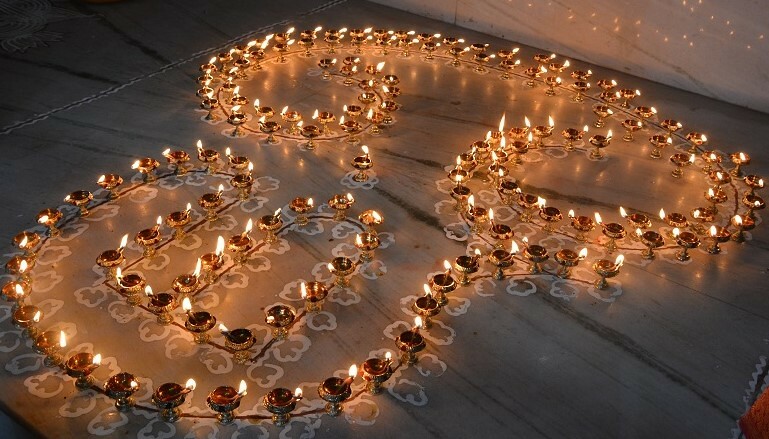 In front of Holy Trio, all the villaku were lit and offered to girls who did pooja with kumkum and flowers. 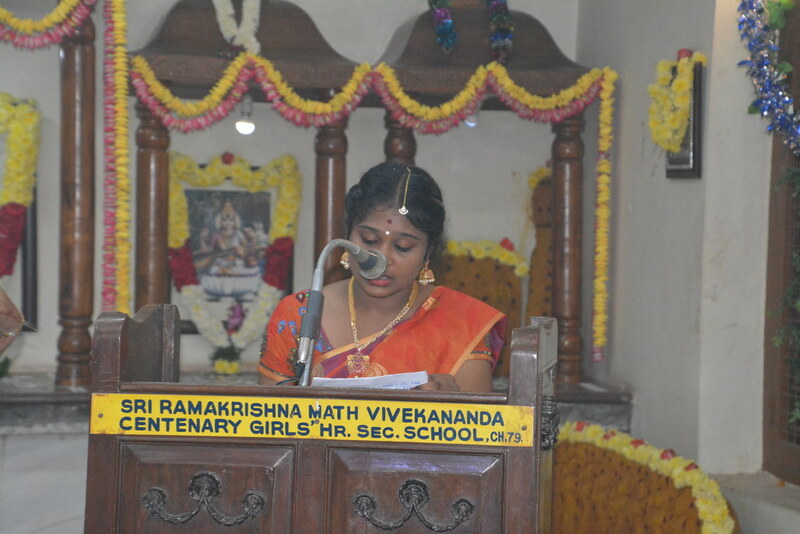 Tmt. 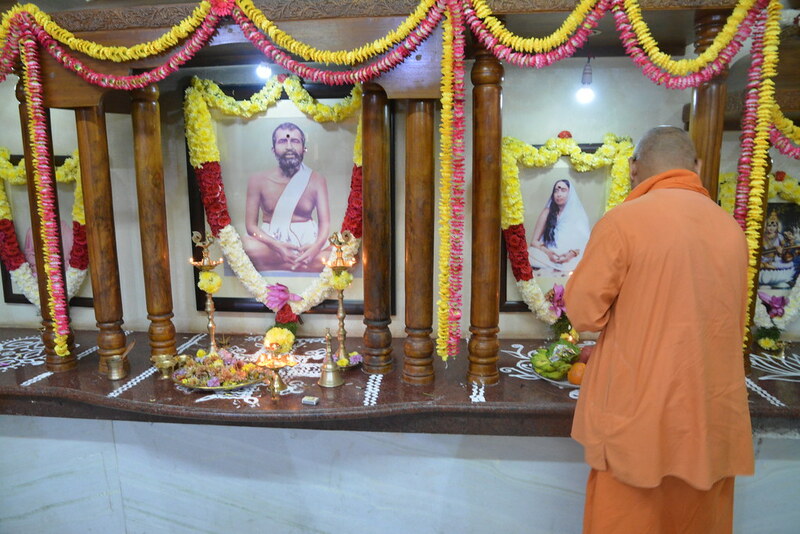 S. Saraswathy, and Tmt. 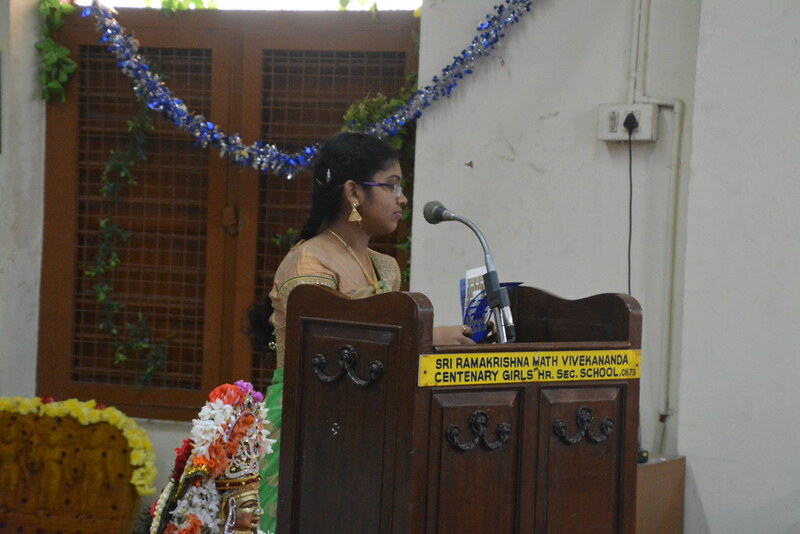 Andal recited the 108 “Pottri” and the students sang bhajans. 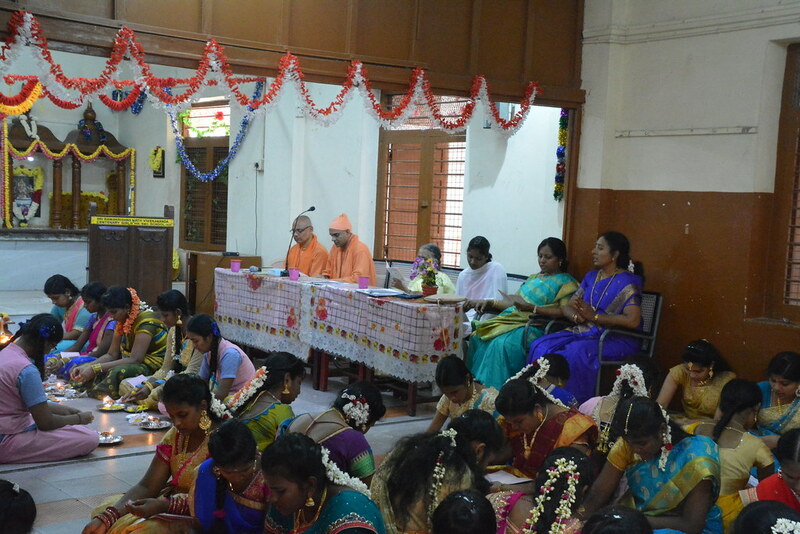 Swami Dharmishtananda from Chennai Math presided over the function. 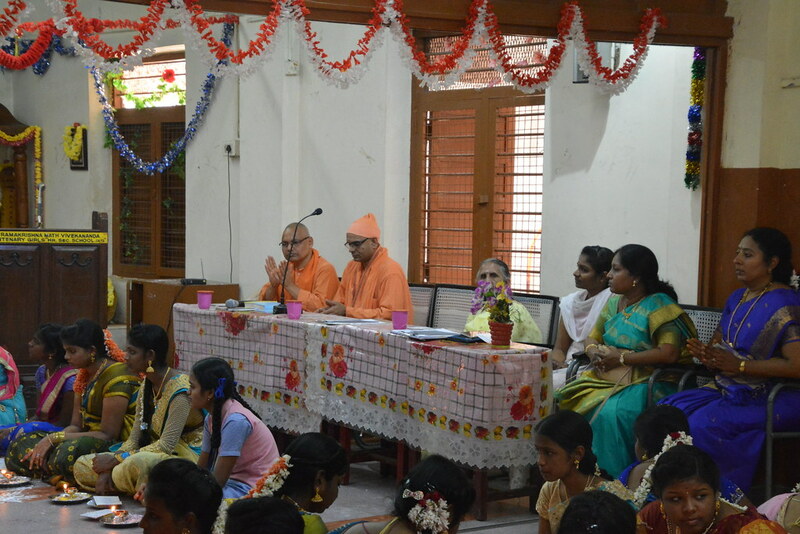 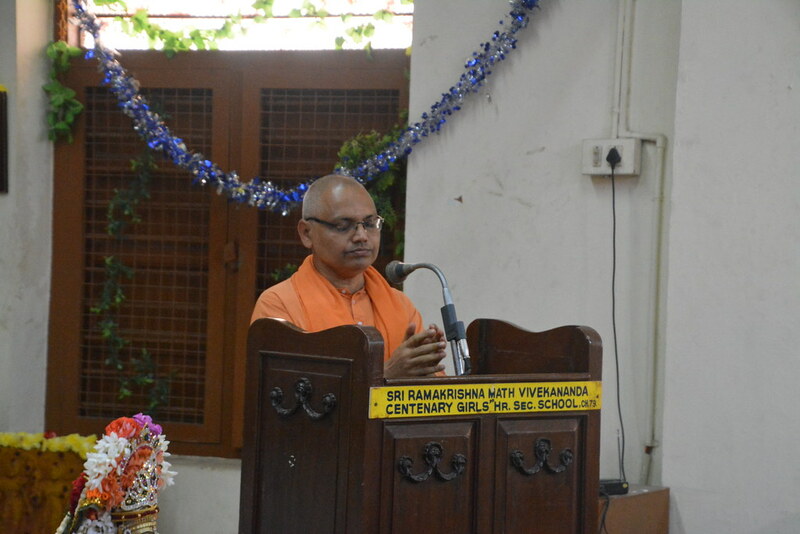 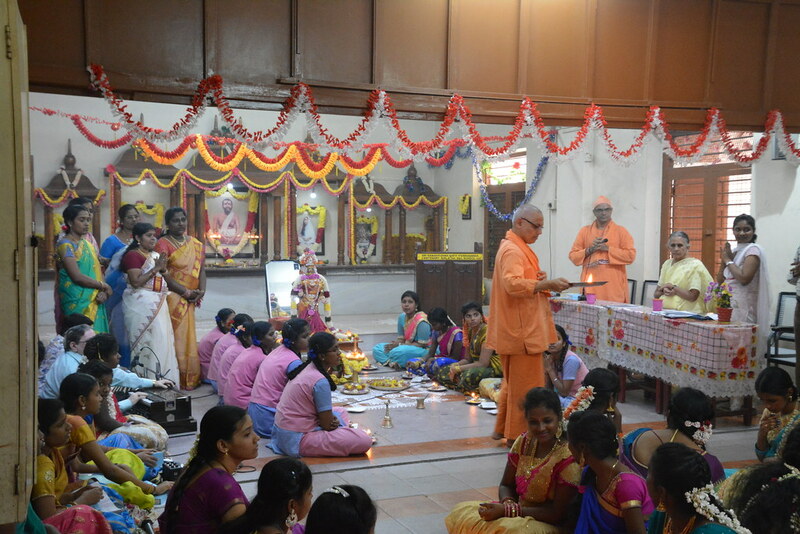 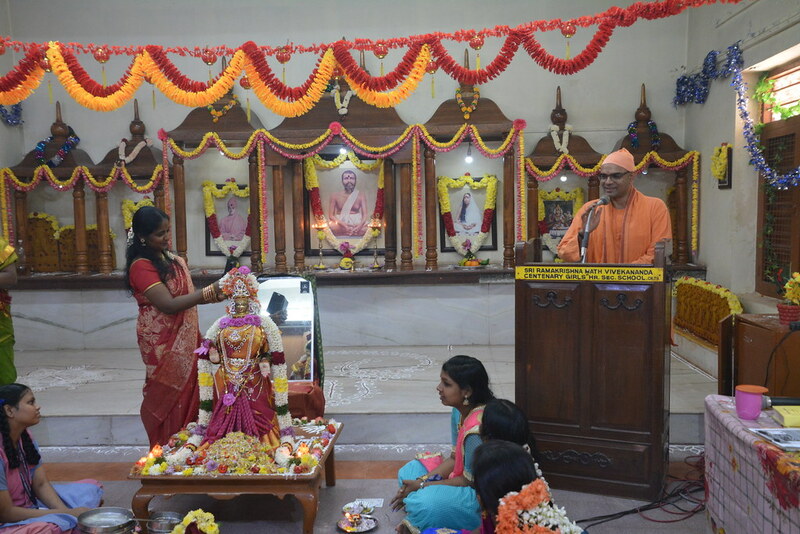 Swami Dharmishtananda and Swami Shashishikhananda spoke on the occasion and told the students to cast off fear to face the examination. 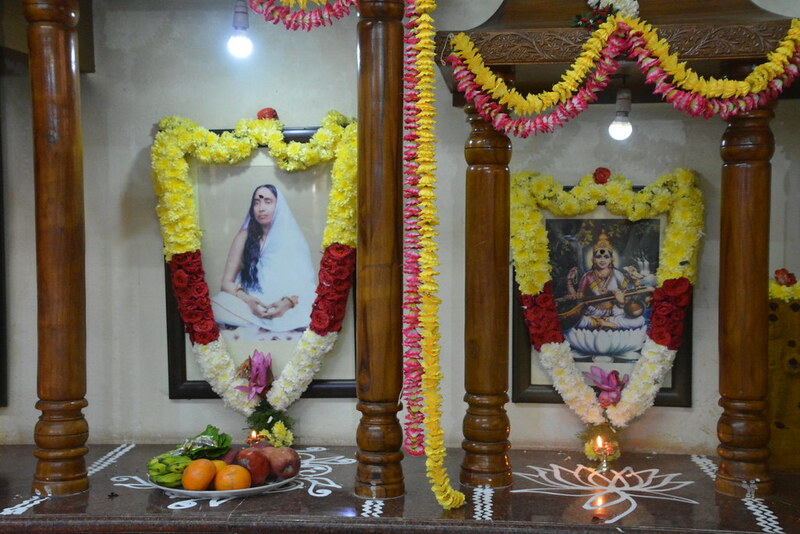 Aarthi was performed for the deity and the Holy Trio. 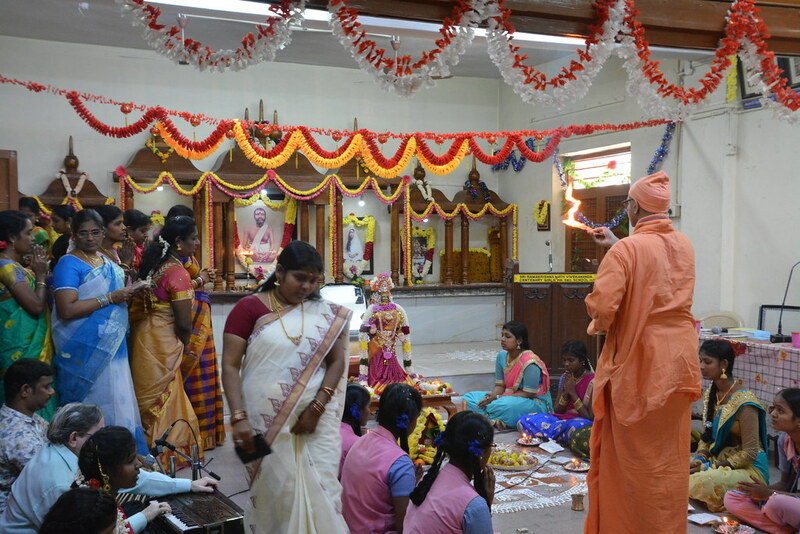 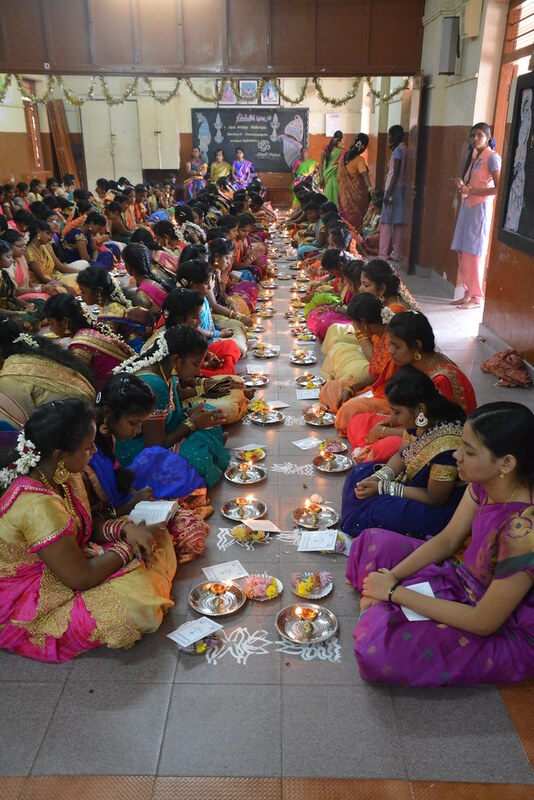 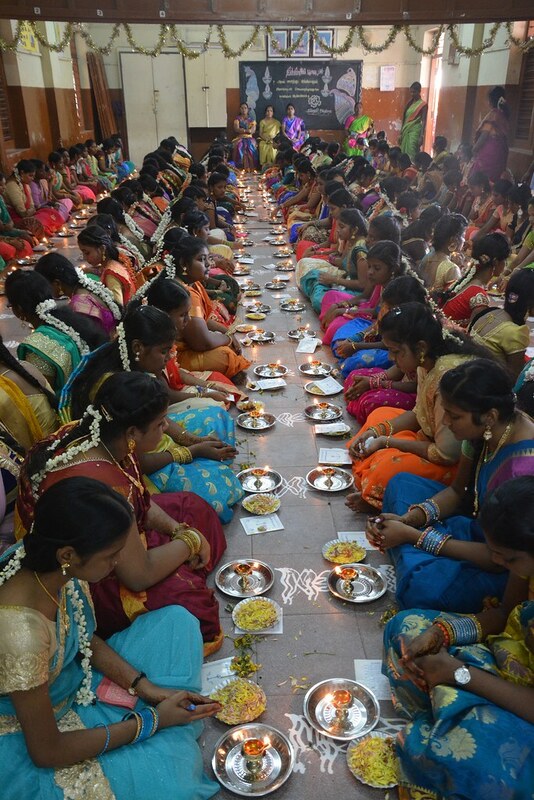 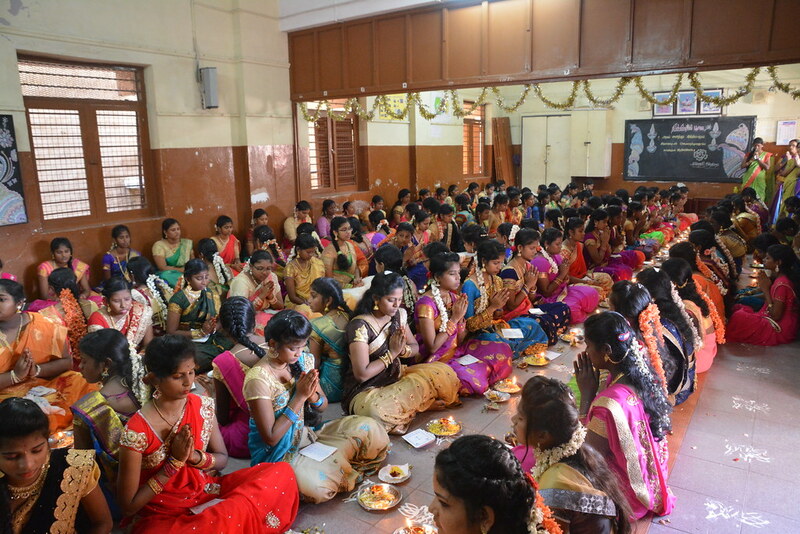 This function created a divine atmosphere in the school. 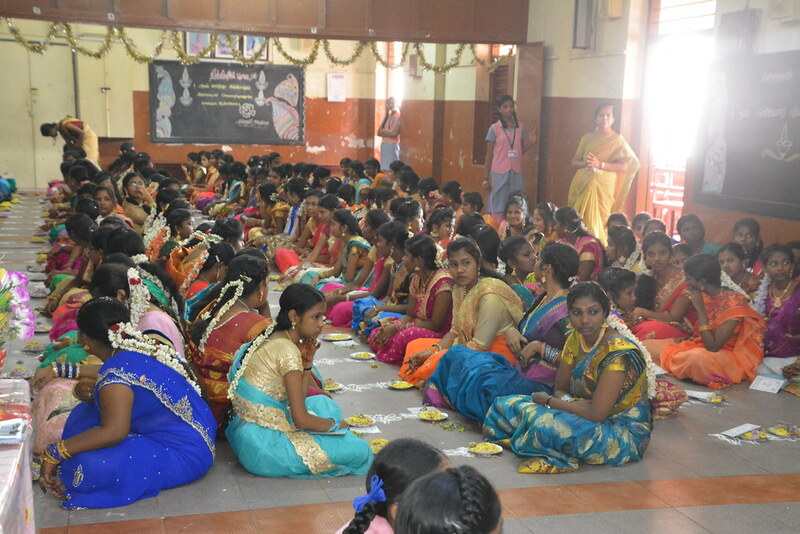 Math provided Lunch prasadam for all the students which was sponsored by Teachers.